After receiving devastating news about his young son, a dad has made sure his boy will be remembered forever. Jackson Garwood was diagnosed with a fatal condition called KRABBE disease when he was just nine months old. His parents Darren, 37, and Rebecca, 34, were told he probably wouldn’t live beyond his second birthday. 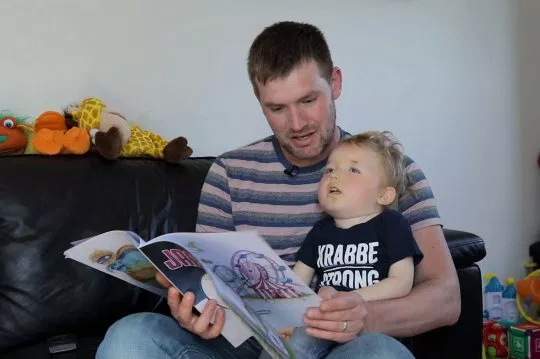 Darren, a site inspector from Tilbury, Essex, wanted to make sure his son would not be forgotten, and set to writing superhero stories about his super son, Jackson Superhero. He’s now written and published 10 books. Our lives came crashing down when Jackson was diagnosed, I tried to blank it all out. We were told he was only supposed to live until he was two. I wanted to stop thinking, I wanted to sleep and never wake up. But my wife, Rebecca made me realise – all Jackson has is us, and I needed to be there. Jackson’s condition has caused his nervous system to degenerate and symptoms include irritability, choking, seizures along with loss of developmental and motor skills. There can also be signs of blindness, paralysis, weight loss and unexplained fevers. Born in August 2014, Jackson developed normally until he reached nine months when he stopped hitting his milestones and lost the ability to complete previously learnt skills – such as being able to feed himself and picking up his dummy. [Rebecca] asked me if I thought he dreamt – and we wondered what he dreamt about. 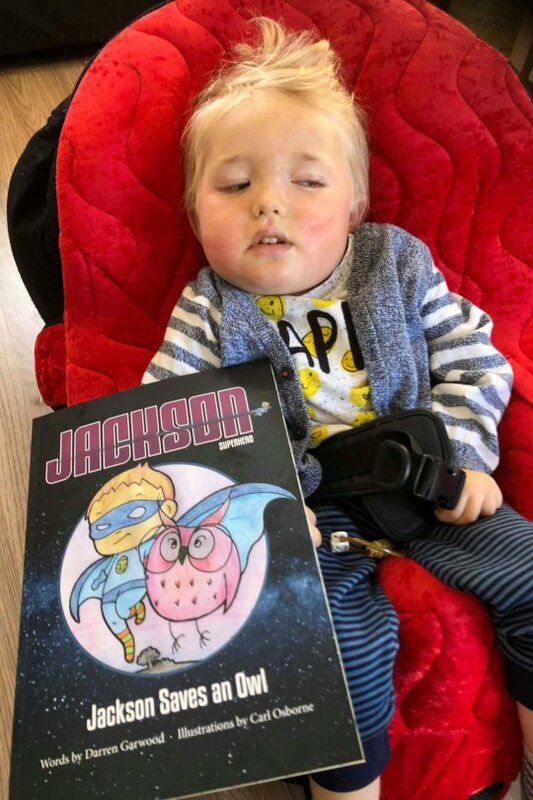 I decided from that to write Jackson Superhero – he might not be able to do much – the condition affects everything including his brain – but I can help him dream by reading to him. The books really don’t take long to write, a few days at most and I always like to use words that Jackson is familiar with. I sent them off to publishers last February and was published by October 2018, I was thrilled when I’d sold 4,000 copies by Christmas. After being transferred to Great Ormond Street, his heartbroken parents were informed that Jackson was only the third case the hospital had seen in 25 years. Jackson has defied doctors predictions as he approaches his fifth birthday. Since the diagnosis mum Rebecca has only been able to work one day a week as a recruitment agent, and the family have had a second child, a two-year-old daughter, Seren. They are taking each day as it comes. No child has gone this far, but the more research I’ve done, I’ve heard of a little boy who lived for eight years. Creating ‘Jackson Superhero’ books means that although he may have lost his smile, I can make him happy by reading to him. 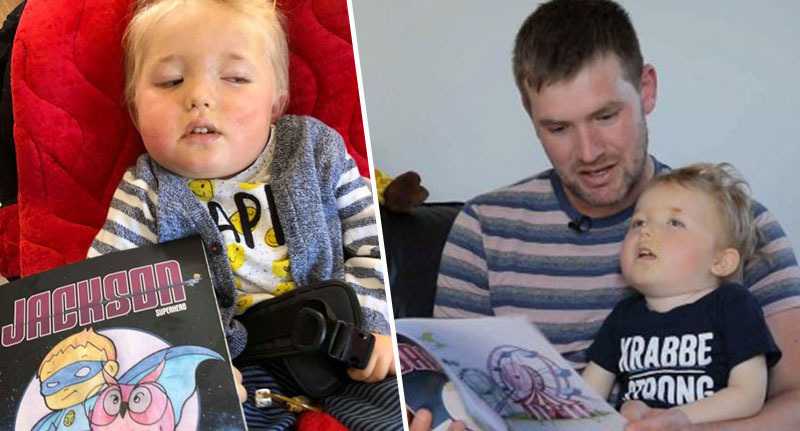 He’s in a body that doesn’t work but whilst he might not be able to be a walker, the books mean he can sprint around the world in his sleep. want everyone to remember Jackson when he’s no longer here. ‘We had a little sister for Jackson – and I want her to know who Jackson was, and what he was like. I’ve got plenty more planned such as Jackson’s solutions to the world’s pollution and I’m determined – my Jackson will have a legacy. Jackson Superhero, Jackson Saves an Owl is available to buy from Amazon.